Calgary – The Calgary Stampede is excited to announce the 2018 Parade Marshal on Thursday, June 14, 2018 at 10 a.m. Please join us in Enmax Park as we reveal this year’s honourary guest. WHEN: Thursday, June 14, 2018 at 10 a.m. INTERVIEWS: The 2018 Parade Marshal will be available for interview following the announcement, as well as Calgary Stampede’s President and Chairman of the Board, David Sibbald. 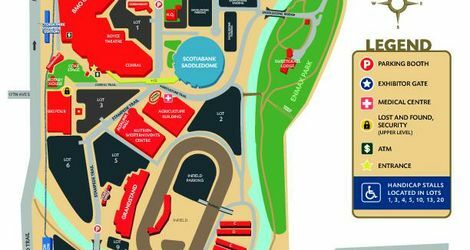 PARKING: Parking will be available in Enmax Park – the McDonald Gate at the north east end of Enmax Park will be open for media. This entrance can be accessed through Ramsay. To view parking map, click on the link below.